Over two decades ago, Trek engineers developed our Optimum Compaction, Low Void carbon manufacturing process, enabling us to produce carbon bikes with consistency and quality previously thought impossible. It was an industry breakthrough… and to this day, Trek OCLV carbon frames are the best, most consistent you can buy. Each level of OCLV offers the best ride for the money, thanks to an optimal balance of areal weight, stiffness, and compliance. 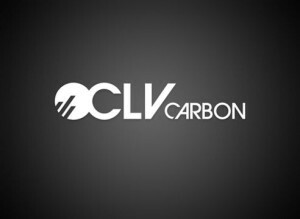 700 Series OCLV is the lightest, strongest carbon in the cycling world, built from strategic materials available exclusively to Trek. It’s the ultimate combination of superior modulus and superior strength, only from Trek. Each level of OCLV offers the best ride for the money, thanks to an optimal balance of areal weight, stiffness, and compliance. 600 Series OCLV features advanced aerospace materials and weight-saving, performance-enhancing technology to achieve the best frame weight/stiffness combinations in the industry. Each level of OCLV offers the best ride for the money, thanks to an optimal balance of areal weight, stiffness, and compliance. 500 Series OCLV achieves a superb balance of lightweight, strength, and stiffness that’s perfectly suited to the sophisticated frame technologies that distinguish Trek frames. Each level of OCLV offers the best ride for the money, thanks to an optimal balance of areal weight, stiffness, and compliance. The areal weight range and modulus mix of 400 Series OCLV puts ultra high performance within reach, providing an exhilarating sense of acceleration and confident handling. Each level of OCLV offers the best ride for the money, thanks to an optimal balance of areal weight, stiffness, and compliance. 300 Series OCLV is a better carbon at an amazing price, with smooth, intermediate-modulus material. Great performance and affordability don’t have to be mutually exclusive.